Martha MacCallum, "Why Was Louis Farrakhan At Aretha Franklin’s Funeral?" The mainstream media is in for a rude awakening. For some reason, this establishment believes all it has to do is promote a particular mentality. After that, everyone will go with that version of the story. They make a calculation or estimation from their perspective and assume they have set that idea in stone to the public. The reality is, whatever estimation, prediction or mentality that the mainstream media promote is isolated to their circle. The question is, are news anchors like Martha MacCallum living in a bubble? Are they unaware of what’s happening outside of their bubble? People are not stupid. We have a mind of our own. The mainstream media does not guide our thoughts. Just because they do not call a murdering police officer a murderer that does not mean that the public does the same. Just because they believe Colin Kaepernick disrespected the national anthem when he knelt down to protest racial discrimination and police brutality that does not mean that the public thinks the same. Their self-soothing mentality cannot be further away from the reality. The mainstream media relentlessly corrupt the image of the honorable minister Louis Farrakhan. That does not mean the public thinks the same thing. Nevertheless, some of the anchors at Fox News and CNN are so out of touch with OUR reality. They do not even understand what is happening in the country. Yes, they collaborate with the law enforcement, courts, and major corporations as a team. That collaboration does not change the public’s attitude towards the truth. The media imagine that because they run a story and give someone a nickname like anti-Semite that means we agree with them. That is how delusional they are. When anyone shoots someone, they report it as a gruesome murder. They call the killer a murderer among other distasteful names. Except, when policemen commit murder suddenly the media talks about a “shooting” and death at the hands of the police. They use selective vocabulary. When people accuse celebrities of sexual mischief or abuse the media reports it as a crime, sexual assault or misogyny even when there is no evidence backing their claim. 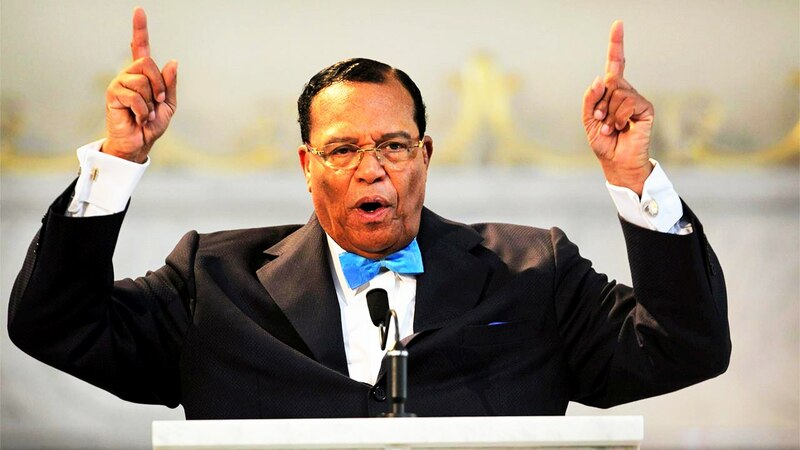 Louis Farrakhan is a Muslim who preachers from the Koran and calls out every double standard in the system. He educates his audience or minority races on how to overcome white supremacy. As a result, the media has dubbed him an anti-Semite and think the title stuck with the public. Are Women more Controlling in Romantic Relationships?